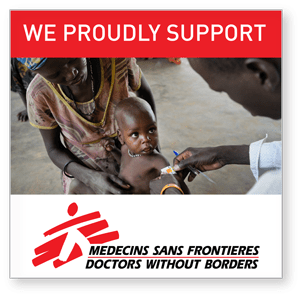 June 24, 2018 in Alistair Articles // YEMEN: What Does The Word Starvation Mean To You? June 12, 2018 in Alistair Articles // North Korea Summit: What Exactly Is Trump Selling? Ben Anderson returns to Yemen to witness the apocalyptic effects of four years of war and indiscriminate bombing of civilians. With statistics that range from 10,000 to 20,000 civilians killed, and a report by Save the Children estimating that 85,000 children under the age [continue reading]. Hasan Minhaj has a new political comedy series titled “Patriot Act”. Minhaj tackles his controversial material with humor and the perspective to credibly discuss it without sounding racist. In episode two he addresses the assassination of Washington Post journalist [continue reading]. YEMEN: What Does The Word Starvation Mean To You? The Republic of Yemen is under siege, the people are starving to death, and they are running out of time. By its very definition, starvation is a process. Our bodies are not like vehicles which promptly shut down when they are out of gasoline. Starvation is defined as a severe [continue reading]. With Isis gone, Adnan Sarwar is returning to Iraq to discover the country afresh, beyond the headlines and wars to meet everyday people rebuilding their lives. Travelling the length of the country from the snowy mountains in the north, he visits oil-rich territories still [continue reading]. North Korea Summit: What Exactly Is Trump Selling? America’s Salesman in Charge Donald Trump and North Korean dictator Kim Jong Un signed a one-page joint statement at a dramatic ceremony in Singapore early this morning affirming their “unwavering commitment to the complete denuclearization of the Korean peninsula.” [continue reading]. This two-hour special reveals the complicated history, extreme politic, and rigid societal standards that have created a legacy of internal oppression and external aggression. As the North Korean people suffered famine, labor camp and public executions, the Kim regime spent [continue reading]. During a White House event, Donald Trump boldly claimed, “The United States has never been closer to potentially having something happen with respect to the Korean peninsula, that can get rid of the nuclear weapons, can create so many good things, so many positive [continue reading]. “The war is changing from a war against armies to a war against people.” U.S. General John Nicholson, the commander of American forces in Afghanistan. After all these years, a trillion dollars, and 2,400 American lives — Kabul is under siege. The war in [continue reading]. Question: Describe your background in Yemen. For example, do you have family there? Where are you from? What were you doing before the war began? How old are you? Answer: I am Fatik Abdullah al-Rodaini, a Yemeni Journalist and humanitarian worker based in Yemen’s capital of [continue reading]. Nigeria’s Stolen Daughters is a moving and terrifying insight into Nigeria’s brutal civil war. 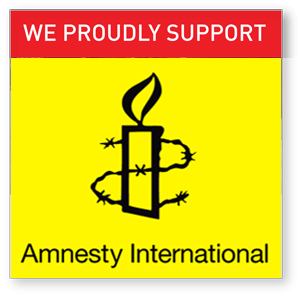 On 14th April 2014, 276 school girls aged between 16 and 18 were kidnapped form a school in Chibok, northern Nigeria. 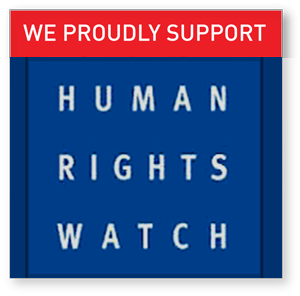 They were taken by Boko Haram, a violent Islamic insurgent [continue reading]. Gianna Toboni reports from the Myanmar-Bangladesh border to investigate what the future holds for Rohingya Muslim refugees who have fled violence in Myanmar. Also: Aris Roussinos goes to Mali to join UN peacekeepers in the lawless Sahara desert. Includes an interview with UN [continue reading]. Israeli Prime Minister Ben Netanyahu unveiled files stolen from Iran - but U.S. intelligence officials say the information has been known for years. D'oh! [continue reading]. 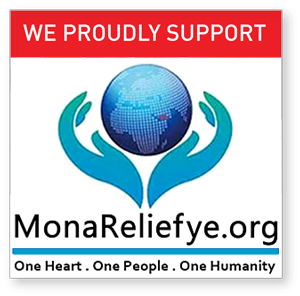 CLICK HERE to donate on MONA RELIEF's GoFundMe Campaign page. CLICK on Paypal icon to use your credit card or Paypal account. YOU CAN also become a MONTHLY DONOR using PayPal Option. Tax receipt on request. Enter your email to receive updates. All original content on Alistair Reign News Blog is licensed under Creative Commons Attribution NonCommercial NoDerivatives 4.0 International License; and includes all original articles, photos, videos and cartoons published. Read the Alistair Reign News Blog disclaimer. Manage your use of our site cookies here. Original Content Copyright 2015-18 | Alistair Reign News Blog | Victoria, British Columbia, Canada | Contact Alistair.Reign@Gmail.com | Hosted by WordPress.com.